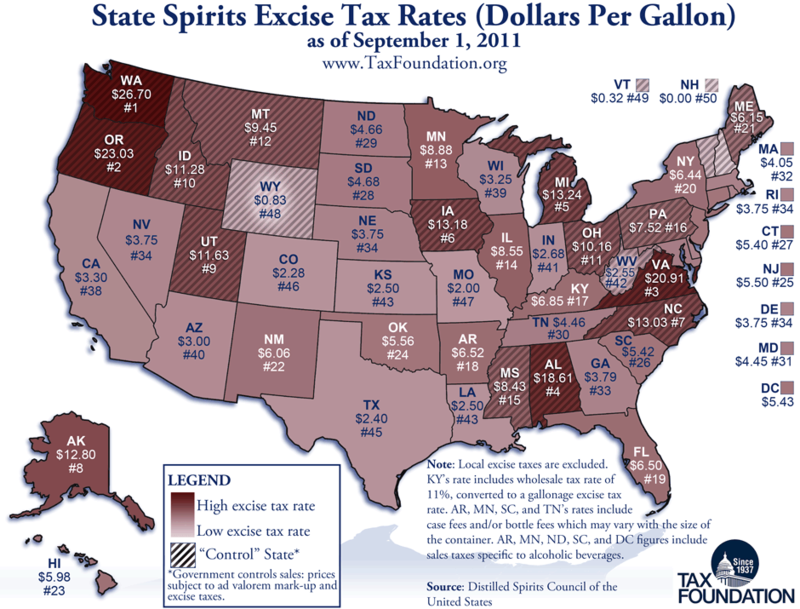 Today’s Monday Map shows state spirits excise tax rates. Local excise taxes are excluded. “Control” states are states where the government controls sales – in these states, products are subject to ad valorem mark-up and excise taxes. The excise tax rate is calculated using a methodology developed by the Distilled Spirits Council of the United States.